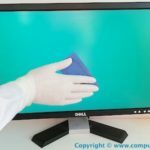 Computer cleaning London provides professional services for keyboard, monitor screen, and office telephone. We provide commercial cleaning services that fit your business schedule and even more, we go above and beyond your expectations for a clean office workstation. Our high reputation is approved by positive customer reviews. We confident that you will most certainly stay with us constantly because you will get a perfect cleaning of your office computers. Computer Cleaning is based in London city, the company has professional mobile cleaning outlets nationwide in the UK. 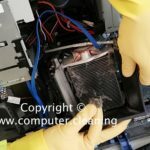 Our expert computer technicians are well equipped and capable to provide you onsite cleaning service at competitive prices. Because of our low prices and great customers’ experiences have set us apart from other cleaning companies in central London. 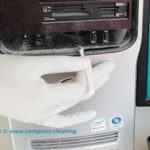 A clean computer most certainly can help to minimise the risk of potential hazards to staff and to the hardware equipment. We have delivered hundreds of cleaning projects in London with 100% satisfaction of our clients. Let’s make this happen, contact our London computer cleaning team for further information or no obligation quote. We stand by our professional cleaning technicians with a 100% satisfaction guarantee. 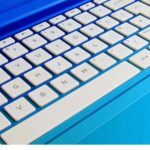 You will most certainly receive a reliable, high quality, cost-effective cleaning for your computer and keyboard. This leaves you free to focus on your core business activities, with peace of mind that your cleaning is in expert hands. With our spring cleaning service, we provide you with an outstanding cleaning job at an affordable price. Our computer cleaners are true professionals and make sure your keyboard, monitor screens are transformed into a spotless working machine. Our cleaners go above and beyond to make sure you are completely satisfied with your cleaning service. We have tailor cleaning solution to fit every customer’s particular needs. We provide regular cleaning, occasional, and one-off deep cleaning service, such as seasonal spring cleaning. Because of our quality cleaning and customer satisfaction, most of our customers in London are returning clients. You can choose any combination of services. We have dedicated cleaning teams in London. Our customers can choose from weekly, bi-weekly, monthly or occasional or spring cleaning service.